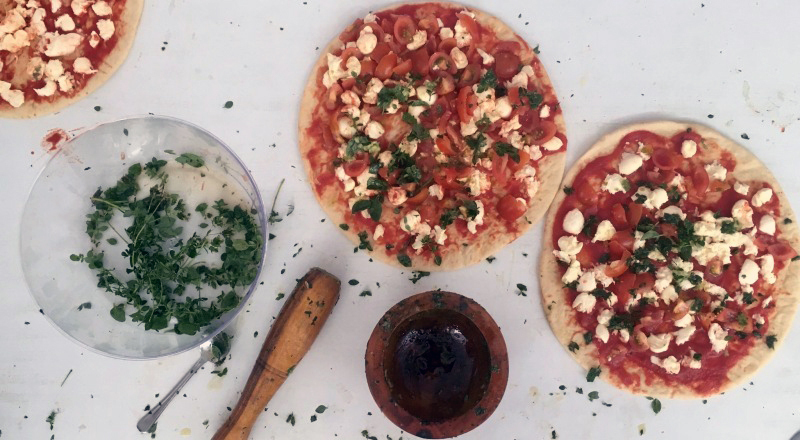 No this is not the menu at an Italian restaurant, but rather a sample of the delicious dishes made by the children at Californian Gully Kindergarten, using produce from their garden. 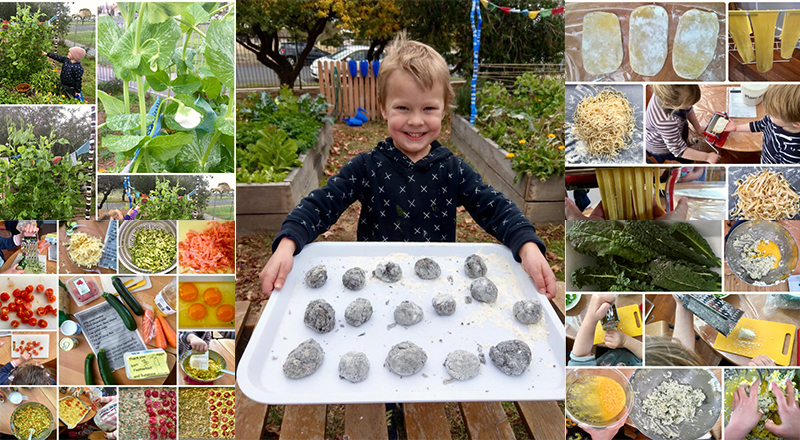 Californian Gully Kindergarten – in Maryborough, Victoria – became a Kitchen Garden Classroom member in 2017 to extend the kitchen and garden experiences they had been having with the children. 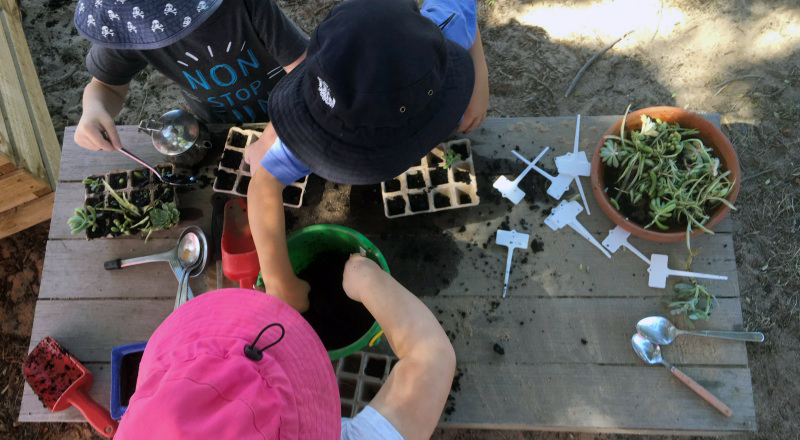 The kindergarten is now a pilot centre for the Foundation’s Early Years Kitchen Garden Project, demonstrating how hands-on cooking and gardening experiences can be integrated into early childhood education. 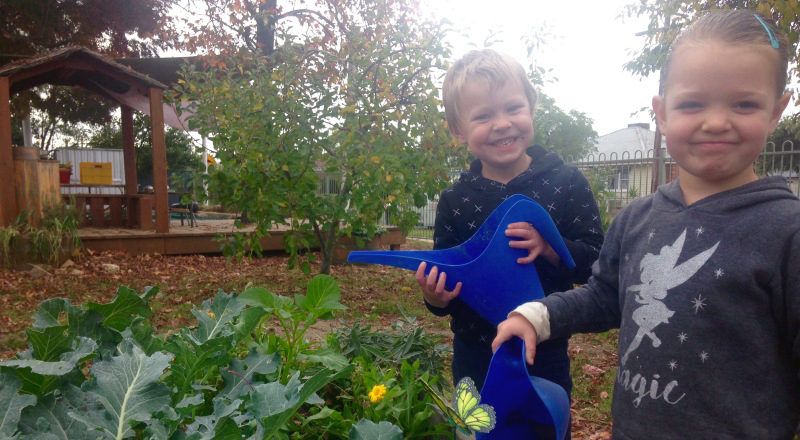 Californian Gully’s Educational Leader Maryanne Blanch said the kindergarten’s kitchen garden program provides a wonderful way to connect the centre’s education and care of children with learning frameworks and the National Quality Standard. Maryanne said there is an abundance of learning opportunities for children in both the kitchen and garden. “Children discover real-life, authentic experiences firsthand which contributes to lifelong learning in the areas of literacy, language, maths, science and sustainability to name a few,” Maryanne said. 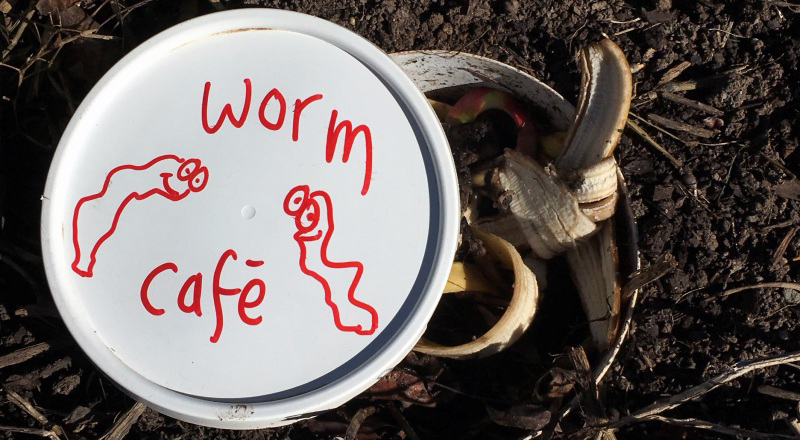 Each week children at the kinder help tend the vegetable garden areas, nurture the hens (which they named Sunshine and Featherfoot), feed the worms who have their own ‘cafes’ and add to the compost. “The benefits of connecting with nature are important in a child’s learning and development in every way,” said Veronica Palmer, educator and lead gardener at the kinder. The kinder’s garden has flourished, with the children growing kale, spinach, rocket, tomatoes, zucchini, pumpkin, garlic, broad beans, snow peas and a variety of herbs in the past year. The produce has been put to good use in cooking activities, with the children making a variety of dishes and then sitting to share what they have made as a whole group. “Growing, harvesting and sharing a healthy lifestyle and pleasurable, healthy food on a regular basis supports and extends knowledge and skills for life,” Veronica said. 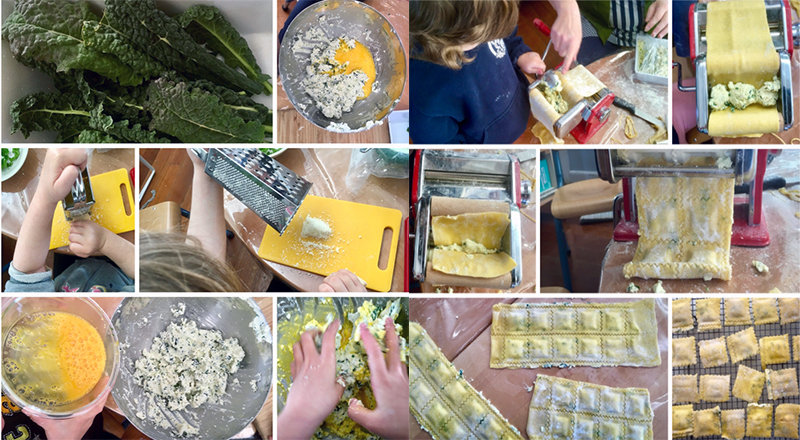 An abundance of eggs from Sunshine and Featherfoot inspired the children to create hand-rolled lasagna sheets, spaghetti, fettuccine and ravioli (that they filled with kale from their garden). 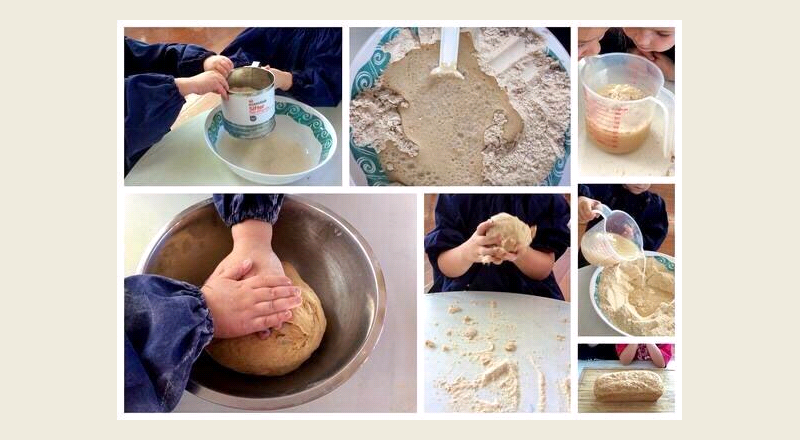 Making bread and yoghurt are also regular hands-on cooking experiences for the children. Maryanne said the herbs and garlic grown in the kinder garden came in handy for helping the children expand their bread-making repertoire. 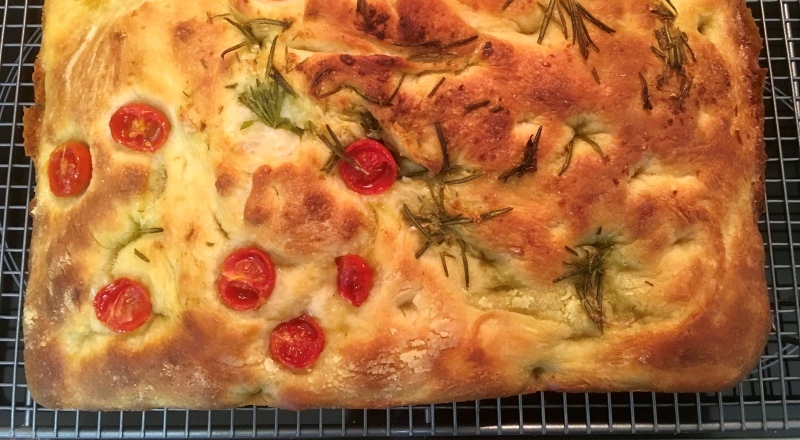 They used the ingredients to make garlic and herb breads, focaccias, ciabattas, flat breads and pizzas, as well as herb and garlic oils. “Other favourites, which changed seasonally depending on what was in the garden, were vegetable slices, soups and seasonal savoury or sweet muffins,” she said. An abundance of apples from the kinder’s tree were promptly turned into apple crumble and served with yoghurt, both made by the children. 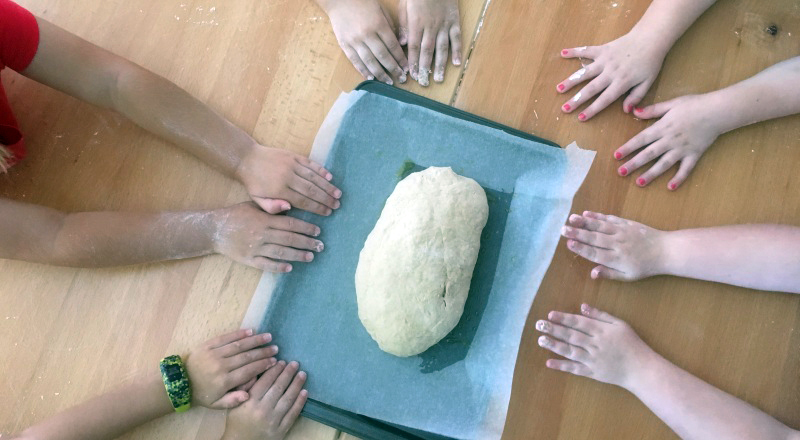 “Children have embraced all aspects of both the kitchen and gardening program and look forward to planned and child-led experiences both indoors and outdoors,” Maryanne said. The feedback from families about the program has also been extremely positive. Maryanne said families from the kinder have been inspired to start a veggie patch in their home gardens. They have also started sharing recipes among the different generations of their family, as well as with the educators at the kinder. “The families look forward to picking up their children, and are warmly greeted by the smells coming from the kitchen, and enjoy being offered the food prepared by their children,” she said. Maryanne said the kinder’s kitchen garden program has helped create “deeper and sustained connections and conversations between children, families, educators and our wider community about things that matter to us and our planet”. 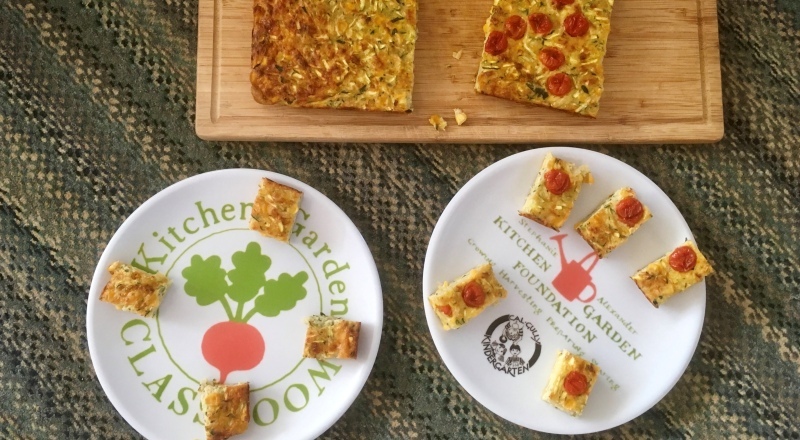 She said the Kitchen Garden Foundation has provided a wealth of support to the educators at the kinder, including the online Shared Table community, downloadable resources and professional development. “The Foundation’s Kitchen Garden Classroom is a fantastic platform for our educators to be part of a wider kitchen and garden community, to learn, share and be inspired,” Maryanne said. 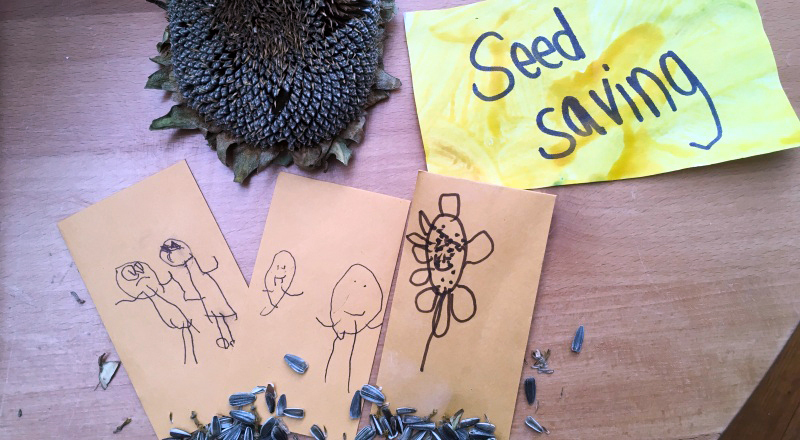 The kinder’s educators regularly post photos on the Foundation’s Shared Table website of the kinder children taking part in hands-on kitchen and garden activities – which the Foundation team and wider kitchen garden community love to see. And the kindergarten’s advice to other early childhood services looking to start a kitchen garden program? “Do it! Whatever level you are working at, whether it is a small garden patch, limited kitchen resources or knowledge, you can learn alongside the children, families, other educators, the local community and of course the Kitchen Garden Foundation. It is very rewarding!” Veronica said. 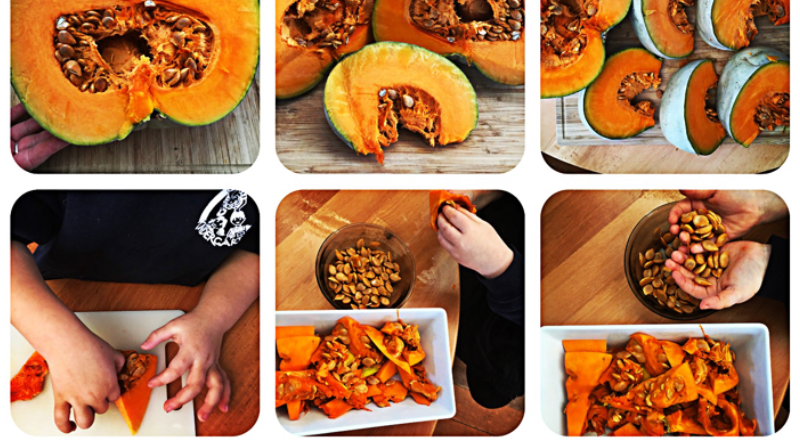 Scroll through the photo gallery above to see more images of kitchen and garden activities at Californian Gully Kindergarten. 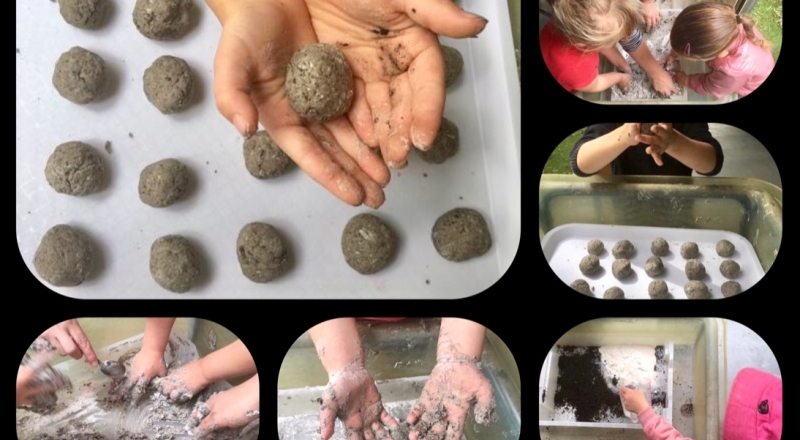 Watch the video below to see the children at Californian Gully Kindergarten making seed spheres in their garden. 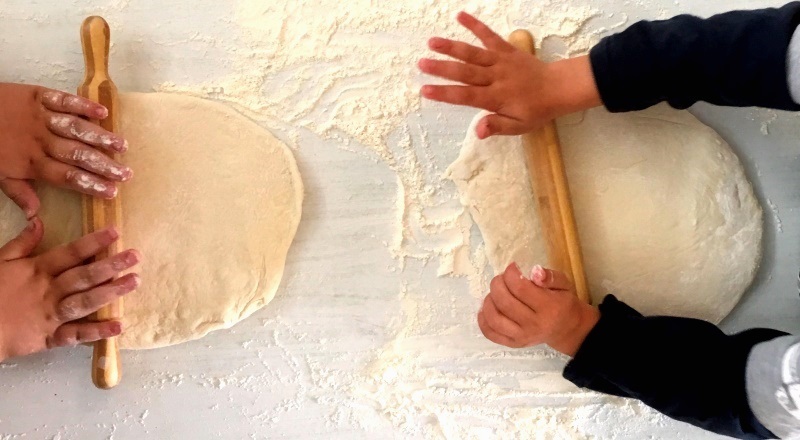 To find out how your early childhood service or school can dig into pleasurable food education like Californian Gully Kindergarten, head to the Kitchen Garden Classroom membership page.